Three people were arrested Wednesday after a man was shot at a residence in southwest Roswell, then taken to a local hospital by two of the suspects charged in connection with the shooting. 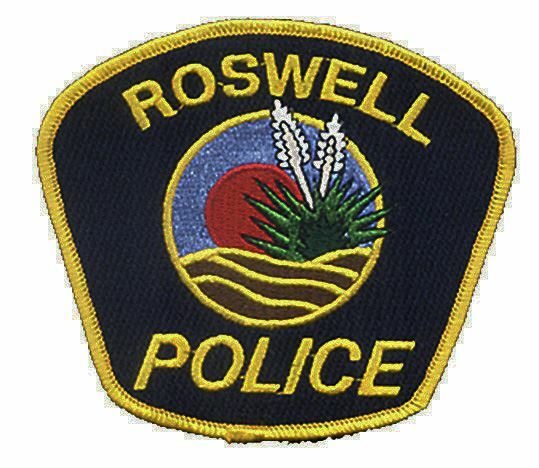 The shooting was reported to the Roswell Police Department around 2:15 p.m. Wednesday when a person in the car transporting the victim to the hospital called 911. The victim, a 35-year-old Roswell man, was left at the emergency room, where he received treatment for gunshot wounds to his face and neck. He is expected to recover. The shooting is believed to have occurred inside a residence in the 1600 block of South Washington Avenue. The RPD’s investigation indicates an ongoing issue involving the victim and one of the people charged in the incident may have been what triggered a confrontation Wednesday afternoon. After the shooting, the suspects allegedly refused to allow the victim to leave the residence before deciding to drive him to the hospital. On the way, one of the suspects is alleged to have threatened the victim with further harm if he implicated the suspect in the shooting. • David Clements Jr., 30, charged with accessory to aggravated battery with a deadly weapon, conspiracy to commit aggravated battery with a deadly weapon, false imprisonment, and intimidation of a witness. • Jessica K. Tarleton, 33, charged with accessory to aggravated battery with a deadly weapon, conspiracy to commit aggravated battery with a deadly weapon, false imprisonment, and distribution of marijuana. • Veronica L. Perez, 32, charged with tampering with evidence and false imprisonment. Tarleton and Clements drove the victim to the hospital. Tarleton made the 911 call on the way. Anyone with potential information regarding this case is asked to call the Roswell Police Department at 624-6770 or Chaves County Crime Stoppers at 1-888-594-TIPS (8477).